This week’s photo challenge is to showcase a monument. I have been lucky enough to see quite a few of the world’s monuments and have always been intrigued by the unique visions of the designers of each. I was overjoyed to finally visit the Eiffel Tower my first time in France; don’t get me started on seeing Big Ben in London or the Statue of Liberty in New York. 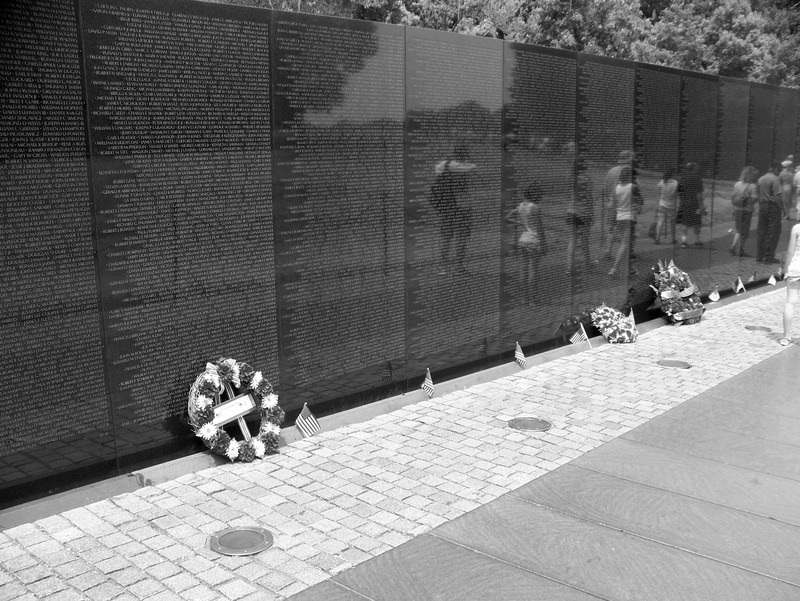 But one of the most profound monuments I’ve ever visited is the Vietnam War Memorial in Washington, D.C. True, there are no massive buildings or statues – just row after row after row of names. It’s a very profound monument to the rise and pride of man, be it for better or for worse. Nice take on the Monument theme! 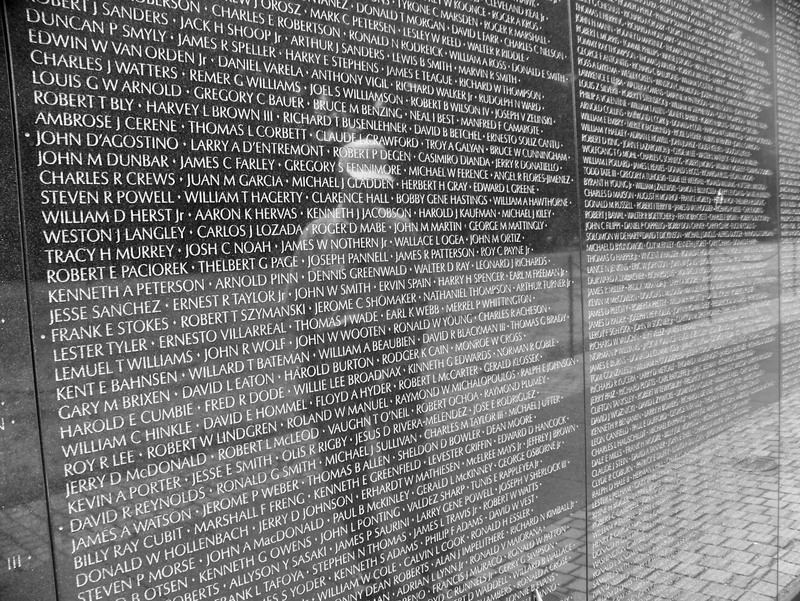 When I lived in rural Iowa some years ago, there was a portable version of the Vietnam War Memorial that was making the rounds. It would set up in the park for a given amount of days, then move on to the next place. This particular location was in Hamburg, a sprawling metropolis of less than 1,200 people. It’s something very few people who participated in will eve forget. 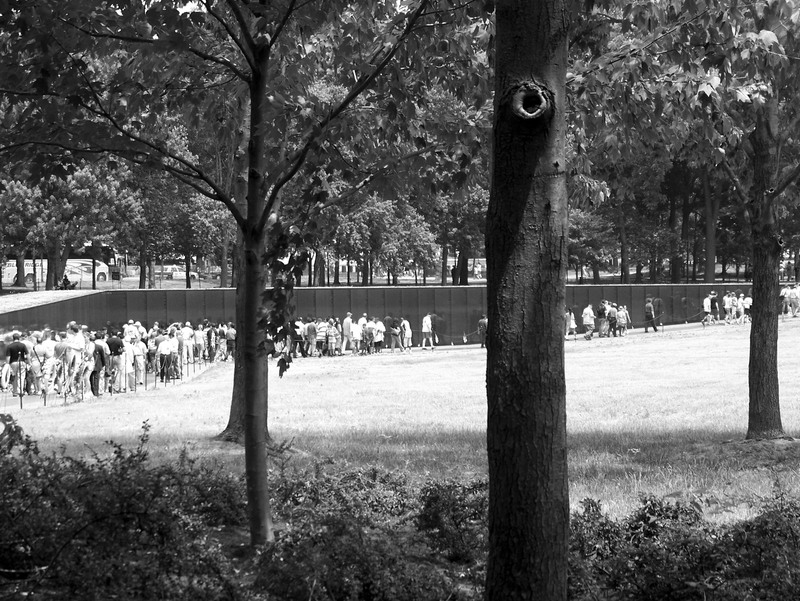 I love the reflection of the people in the monument – beautiful photos. Beautiful and profound choice for a monument.. thanks for sharing!